Debt consolidation remains to be one of the most popular repayment programs for a lot of consumers. It helps you manage your finances better and it can even lower down your monthly payment. This is a big relief especially when you are trying to get by with a tight budget. Being offered the chance to free up some precious funds in your budget can mean the difference in keeping your heating up and running. Getting those extra funds and managing your expenses better can also help you enjoy the holidays better. As the year is about to come to an end, your expenses will pick up with all the holiday activities. From gift-giving to social functions and even travel plans, the holidays can be quite an expensive time of the year. However, you still need to carefully think about taking on debt consolidation before the year ends. It may be a big help with your finances but you also have to make sure that you are doing it for the right reasons. Here are a few things you need to consider when consolidating your debt payments just before the year ends. As mentioned earlier, you need to ask yourself if you are consolidating your debts for the right reasons. You need to have a genuine desire to fix your finances and not just clear up a credit card for the holidays. If you are simply looking for a way to transfer balances on your card to make way for holiday shopping, you are just putting your finances in bigger danger. Debt consolidation will only work if you have the right objective in mind. Choosing to consolidate your credit card debts under one account can clear up the balances on some of your cards. What you do with it will determine if you successfully pay off your debts or not. If you keep adding expenses on your credit cards then you are just adding to a bigger payment balance. However, if you focus on paying down your consolidated debt, you will see your finances get better over time. If you are consolidating your debts, it is similar to treating the symptoms and not the disease. You need to understand why you were in so much trouble in the first place that you needed to consolidate your debts. Why did you accrue so much debt that led to your decision of consolidating your accounts just to manage them better? CNN shares that a lot of people are spending again. Are you are impulsive spender? Do you have a lot of spending triggers? Is online shopping your weakness and you can’t just help but buy things online? You need to make sure that you get the help you need and make the necessary positive changes to your financial behavior. If not, you will be back to where you started only with a bigger debt payment to face. The first step in getting a handle on your spending is to acknowledge the fact that you have a problem in managing your finances. That is an important stage because it will help you face the problem and even force you to look for solutions. As you have identified the problem, it is a lot easier to look for ways to help you gain control over your spending. Debt consolidation is a great repayment program but if your payments are already way over what you take home each month, you might need a different approach. For one, you might have to focus on increasing your income or lowering down your expenses. Debt settlement might even be a better fit for your particular situation. This is a program where you work with a professional debt settlement company and they work with you to help settle your debt obligations for a lower amount. It might be a better fit for you because your income is not enough to meet your current payments. As great as debt consolidation is, there are certain situations where it might not be the best fit for you. That being said, there are a number of benefits to consolidating your debts before the year ends. Here are some of them. As you look forward to a new year, you can do so knowing that you have better control over your debt payments. You know exactly what your payments are and you will not play the guessing game of how much it will be every month. This allows you to plan ahead and make sure that you are able to meet your payments every time. Because you know exactly how much you need to pay every month, you are able to budget better even for other financial obligations. This way, you get to plan out your payments for other lenders and you get an idea where you can be a little more aggressive. You can plan extra house payments, max out your 401(k), or even put more into your emergency fund. There is no doubt that you will have a lot of goals for the coming year and consolidating your debts can help you with those too. Having a clear idea what your expense payments are will give you more direction towards your goals in life. It helps you make informed decisions and pushes you closer to realizing these goals. Do you need to increase your income next year? Then knowing exactly how much you can invest helps you make the most out of that fund. Will you look for passive income sources or invest it in a hobby where you can earn extra money. Choosing an income-positive hobby gives you the ability not only to earn more but a way out in case you want a change in career. 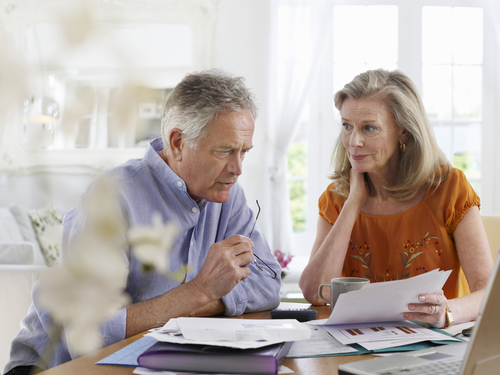 It might even be a great way to make extra money in retirement. There is no doubt that if you had the chance to save money, you would do it and that is what debt consolidation gives you. You can have a smaller monthly payment because you either extended your repayment period or consolidated with a 0% interest card. Whatever route you took, the decrease in your monthly payments can be a huge deal. You can have a lot of uses for that amount of money you save. Apart from being aggressive with debt payments, you can also strengthen your future by investing in it through various funds. The point is that when you consolidate your financial obligations, it opens up a lot of opportunities for you to manage your money and goals better. Debt consolidation might just be another debt repayment method for you but it can actually help you in a lot of other ways. You just have to understand the process better in order to make the most out of it. Choosing to consolidate your debts just because it worked for someone else might not be a good idea.